This is a beginner's guide to Custom Settings, that shows a practical way of using all the features they convey. For TL;DR people, this is the GitHub repository of the example. One of the greatest pros of the Force.com platform is the extraordinary quick development phase: even when you are under continous software development, you can change your processes implementation within minutes. With great features come great responsibilities, that’s why you should give administrators, who may not be developers, the same power to configure the code flow. The introduction of Custom settings made developer lifes easier. A Custom Setting is an SObject that is available in every execution context (i.e. within apex classes, triggers, visualforce pages, formulas, workflows, ...) without the need of query, so basically you always have an instance of an object with all its fields ready to be used. The DEBUG_MODE allow to see some info about the current callout (for debug porpouses). 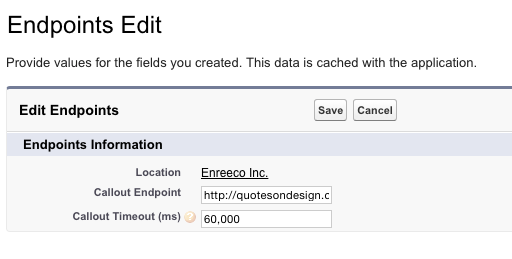 Before running the page remember to add the http://quotesondesign.com endpoint among the trusted endpoints for the ORG, by selecting Setup > Security Controls > Remote Siste Settings. This example clearly shows that it is hard, for non developers, to alter the configurations. Here come the Custom Settings: they are Custom Objects that can be used without making any SOQL and are fitted to current User's context. 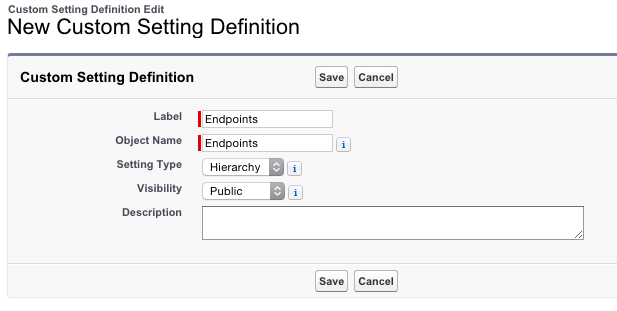 The Hierarchic custom setting is a setting that has a global value for its fields which can be overridden on a per User / User's Profile basis. This will be more clear later. These are global values for the fields and they will be the only values we will be needing for this custom setting. Set the same values we have on the ConfigurationManager class. This means that the Debugging custom setting will have a global value and a value fitted for System Administrator users: every administrator that will execute the page will see the debug section. 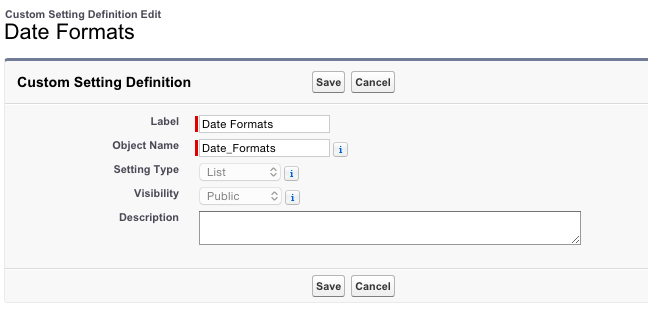 For each locale code you can set a specific date format plus a Default value (to be handled manually). From now on if you need to change the endpoint of the service, debug a specific user or change data format according to user locale, you will not need to change the code but you can train an administrator to do it by him self.